Preserved moss murals are a relatively new trend, but there is no denying it, it is here, and it is here to stay. These vertical panels of wall-mounted moss plants offer a refreshing, and lush green space that also functions as art. Plant the Future has developed a simplified solution in order to turn preserved moss into appealing indoor art. 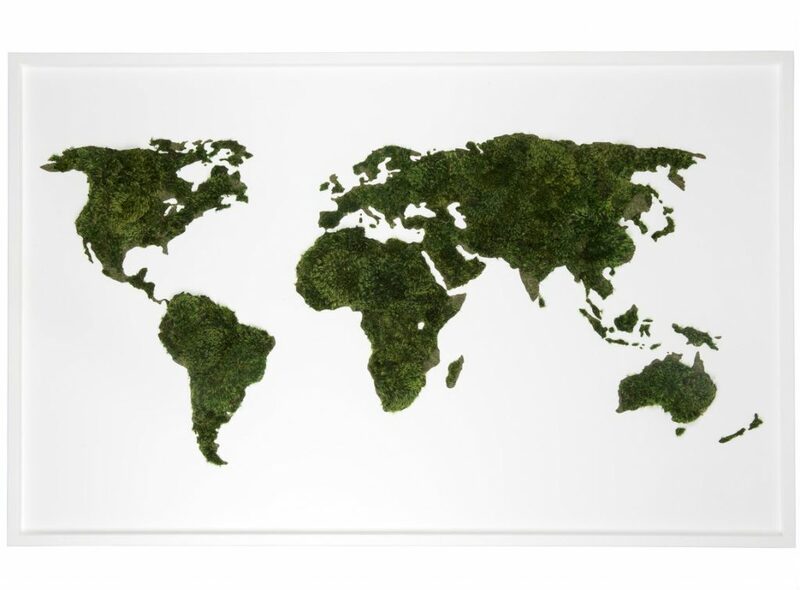 Our unique custom made moss art provides more than just pulchritude- it’s the best of both worlds. Where nature meets art, heads are sure to turn. Not one of our pieces from our moss walls requires a drop of water or a ray of sunlight. Yes, you heard that right – completely maintenance free. Here are a couple of imposing projects we collaborated on in the past. Innside Hotel commissioned a moss optical mural design by our very own team and 2ALAS for the restaurant at the hotel. 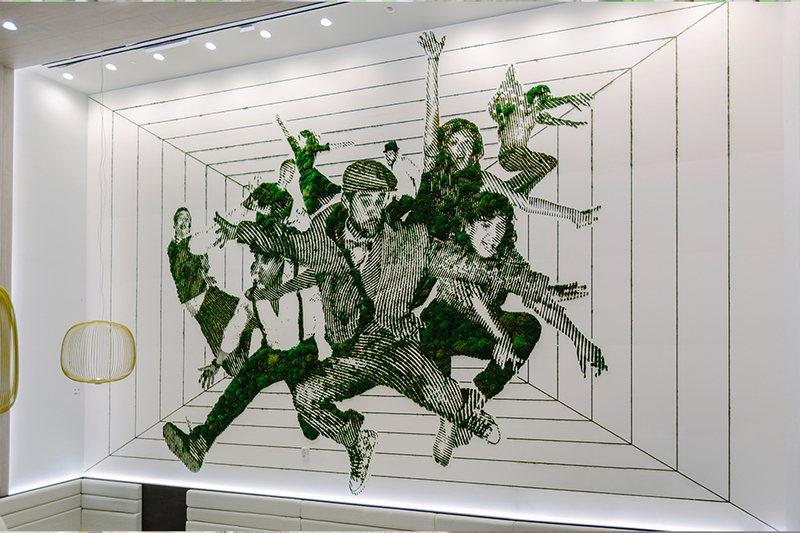 The Leap Mural was inspired by famous photographer Philippe Halsman’s Jump Book. ‘Leap ‘represents the moment just after jumping into the air. The moment when we feel total freedom and boldness. Another cool project we take pride in being a part of. Plant the Future collaborated with 1 HOTEL to create a complete biophilic and sustainable experience. In the lobby, the iconic day life swimmer greets guests. We also designed indoor tropical gardens which add to the lush atmosphere. This piece is not up for viewing at a fancy hotel somewhere on the planet. 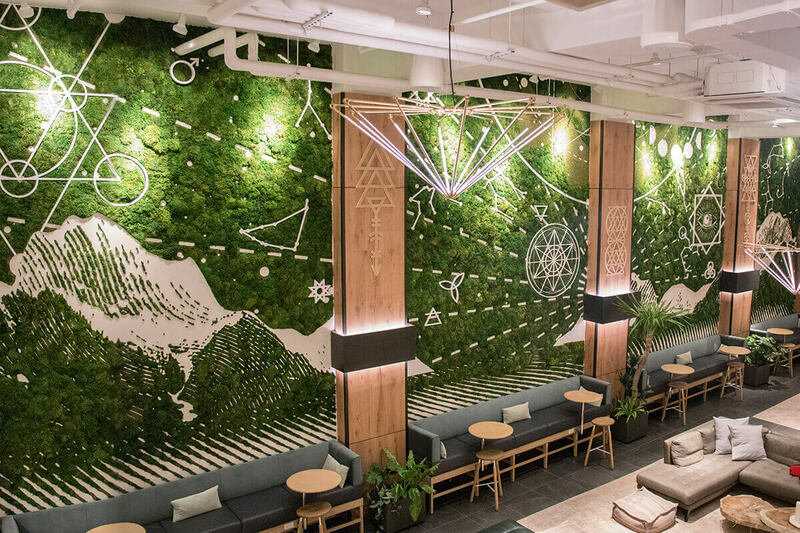 The collaborative murals and wall sculptures combine Andrew Antonaccio’s recognizable linear style and Paloma Teppa’s preserved natural moss design. The triptych is composed of three individual works, depicting female facial features. The face represents the features with which we experience biophilia, using all of the senses. It represents an expression of wonder and making an idealist world that the next generation can live freely in. Sacred geometry represents sacred universal patterns used in the design of everything in our universe and ultimately our lives. 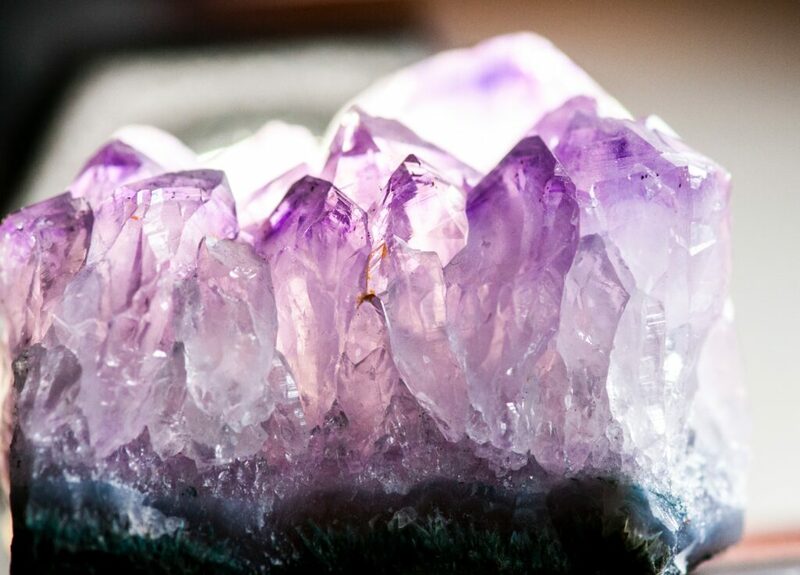 The original point of separation from self is the start of all energy. The symbol of the Vesica Pisces looks like two overlapping circles and represents harmonic proportions and a source of strength and power. Perfect for a hallway or sofa wall, the Vesica Pisces Eye is sure to enliven the room as well as your guests’ spirits. Ready to Turn Your Vision into a Mural? Do you feel the entrance to your establishment could use a tune-up in design? Keeping it clean and cohesive is a must, but with timeless design and quality pieces, you are sure to make a statement. 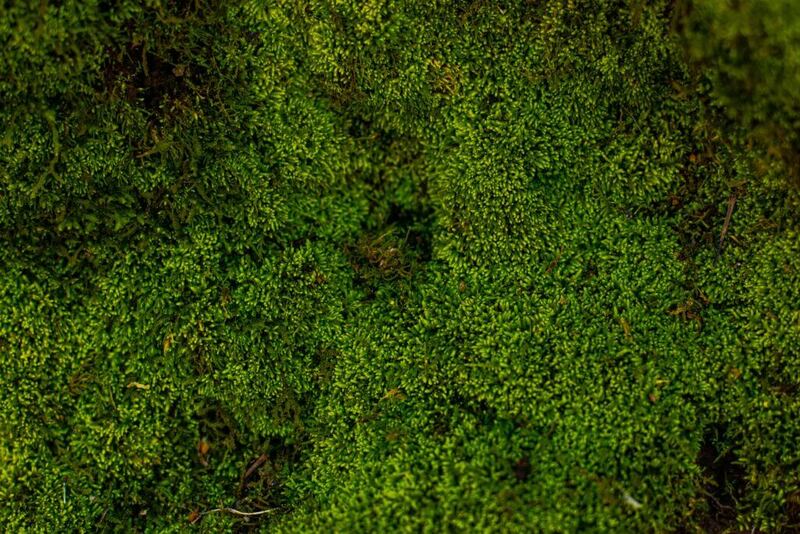 Moss murals are a wonderful addition to any living room, office, and bedroom or anywhere you feel like injecting a little positivity and quick-spirited energy. We’ve done it for hotels around the world as well as private residences and we are ready to do it again. 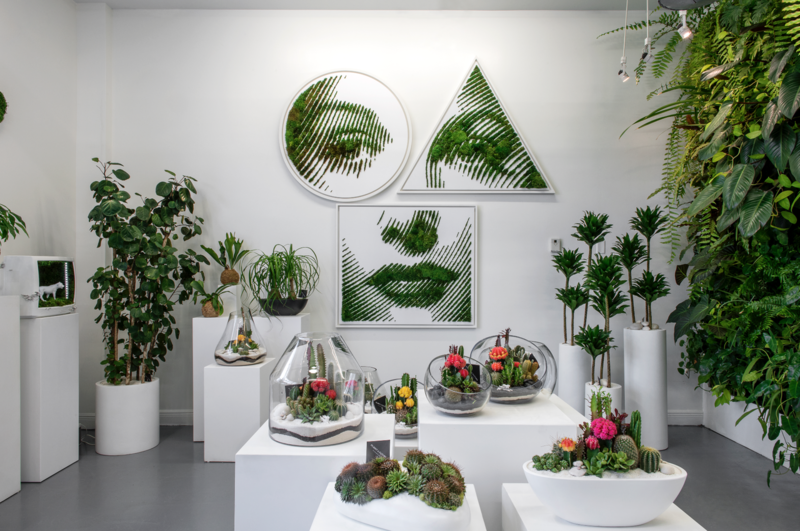 Plant the Future’s team of artists and experts in botanical design are eager to help you bring your vision to life.